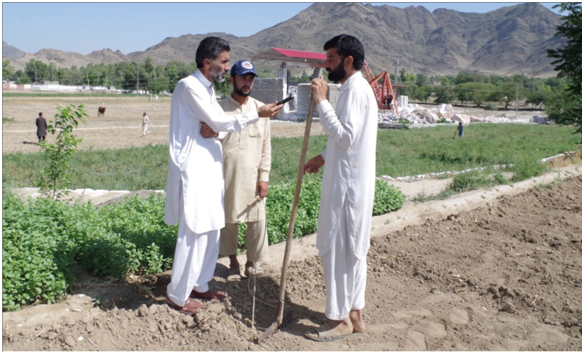 TNN reporter Gul Muhammad Mohmand interviewing a farmer in Mohmadn tribal district bordering Afghanistan. GHALLANAI: Taj Muhammad, a resident of Ghallanai area of Mohmand tribal district, says a local Jirga recently imposed fine of Rs2,000 on him for cutting a tree from forest despite ‘Nagha’. He says the Jirga also confiscated the wood in his house. He says he cut some bunches of the trees on Nagha day to help his daughter cook food in his house and despite apologies the Jirga did not spare him. The tradition of Nagha to protect forests and wildlife in the tribal districts is as old as history itself. Nagha is a Pashto word which means embargo. The tribal elders usually impose Nagha on a forest or a mountain during a public meeting at mosques or hujras (male guest houses) and also form a group to ensure implementation of the embargo. Punishment for violation of embargo is different in different tribal districts. In Mohmand, the punishment ranges from Rs1,000 to Rs50,000 fine, while in some areas, the punishment may include slaughtering of animals kept by the violator or even demolishing his house. Tribal elder Malik Sultan says militancy and military operations have also affected the centuries-old tradition of Nagha like many other tribal customs. 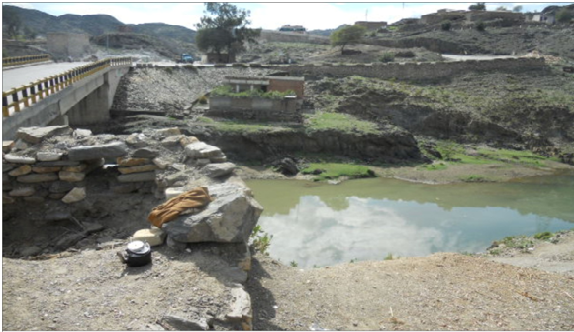 He told TNN that some of the tribal elders who used to work hard for implementation of Nagha system either lost their lives in the militancy and military operations, and some of them left the area. He said more than half of the trees have perished from the mountains of Ilazai area of Baizai tehsil due to continuous violation of Nagha. Malik Sultan, who is a resident of Manzari Cheena, which is situated near the Pak-Afghan border, says frequent violation of Nagha has become a norm and people no longer fear punishment while violating the embargo. He said timber mafia has also become active in Ilazai area which has further worsened the situation. 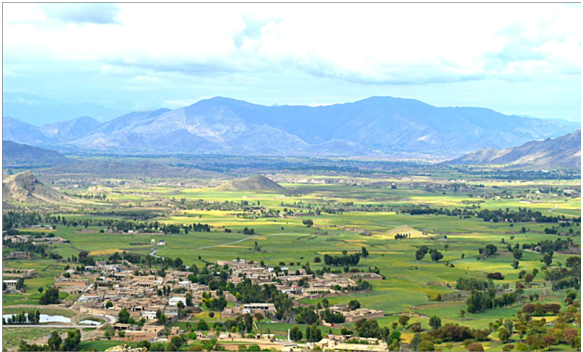 Mohmand district has an area of 229,600 acres out of which 8.83 percent is covered by forests. The forests of Ilazai and Kemor mountains near Bajaur are famous in the tribal district. Local people said many hakeems also visit these forests and collect salajeet, best quality honey and other herbs to use them in preparation of medicines. The forests on Kemor mountains have been looked after by 80-year-old Isa Khan for ensuring Nagha implementation. Isa Khan says the system of Kemor mountains Nagha is different from other areas. “We punish violators according to the nature of violation. If a person cuts branches of a precious tree during Nagha then we impose fine ranging from Rs5,000 to Rs10,000 and if he damages the whole tree then the fine is Rs50,000 as well as slaughtering a bedfellow for local people,” he told TNN. He said severe punishments are beneficial for the forests, as the violators think a thousand times before doing any violation. He said Nagha doesn’t mean that someone can’t fetch wood from the forest when he is in need. “A special Jirga can give concession in Nagha to people in need of forest wood and pinpoints certain trees to such people for cutting,” he said. Isa Khan said he is extremely concerned over frequent cutting of forest trees in Mohmand district. He said fire erupted in the jungle five years ago which damaged hundreds of trees, but the miscreants behind that incident could not be traced. He said the forests of the area can be protected in a better manner if the government gives legal cover to the tradition of Nagha. 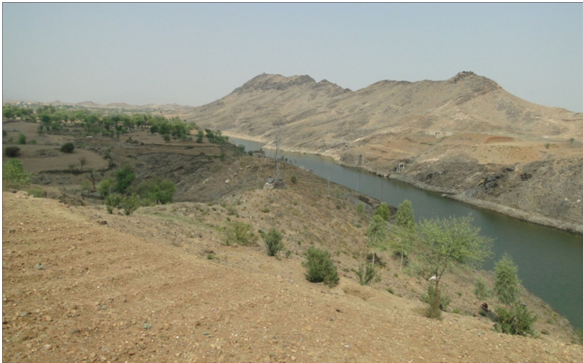 Wasifullah, a researcher on climate change and agriculture, says the climate of Mohmand region has changed a lot during recent times and the duration of winter has reduced. He said the duration and intensity of summer has also increased which is a cause of concern. He said rains are also inconsistent and sometimes cause floods. Wasifullah said the world has realised that fact that climate change is a bigger threat than terrorism. He said one of the main reasons behind climate change is the cutting of trees which causes increase in the carbon dioxide proportion in the atmosphere. He said climate change has affected agricultural yields and caused floods. Quoting a report of Long-Term Climate Risk Index (CRI), Wasifullah said Pakistan is on seventh number in the countries of the world which face most dangerous situation from climate change. He said about 10,500 people have lost their lives in Pakistan in floods, glacier melting, land sliding, storms and other incidents related to climate change during the last 10 years. Besides forests cutting, he said, another main reason of climate change is emission of toxic gases and increase in the number of vehicles. He said the number of industries and vehicles is not too high in the tribal districts. He said forests must be protected in the tribal districts to avoid damages of climate change. He said Nagha is a good system to protect forests. Divisional Forest Officer Fareedullah told TNN in an interview that he is fully cognisant of the damage caused to forests after the Nagha system weakened. He said he will work for strengthening the system again. Fareedullah said Nagha is a good system to protect forests through the local elders without any investment by the government. He said about 25 percent land of any area should be occupied by forests to ensure good environment, however, in Mohmand, the ratio of forests is only 8.83 percent. He said the government has initiated a plan to plant 10 billion trees in the country and plantation of millions of trees is also underway in the tribal districts under the same plan. He said the local people and students will be involved in the campaign to make it successful. The forest officer said there is no law to punish those who damage forest trees in the tribal districts that is why no such case is registered against any violator. He said the forest protection law of KP will be applicable in tribal districts after completion of the merger process and emphasis will also be made on strengthening of Nagha system.